Richard Marsden and Kyle Griswold work with Jim Grant. Last week I covered the qualifications of a HEMA instructor. This week I want to touch on a subject I have in some of my prior writings, that of troublesome students. Teachers worry over a troublesome student because it places them in a strange position. When I teach at the High School, I have discipline controls over my students. Troublesome students can be warned, punished and ultimately made someone else's problem higher up the chain of command. In a HEMA context this is different. Students are generally not children and students have chosen, sometimes even paid, to be taught. To deal with troublesome students I have them divided into categories. The last time I wrote this article, many questions arose about my methodology and some students, who identified with the named problem, tried to defend themselves. This time, I will answer some of those past questions. With good fortune, past readers and new will take something away! The Winner is the type of student who does not like to lose when they drill. This is usually from a low self esteem hidden under a mask of bravado. Losing, even in a drill can be too much for them. These are also the same students that get upset a little too easily when they lose at sparring. The Winner at first can be dealt with by letting them win. If you are teaching a one-time seminar, you do not have the time to work on the Winner's bad habits. You need to get your class done and so it is easier to perform techniques, and if the Winner is non-compliant, place them in the victorious position. The Winner gets what they want and you, the instructor, get what you want for the time being. If you are teaching a Winner over the long term, then letting them win every time is encouraging a bad behavior. A long-term student needs to be developed and this goes beyond their physical capabilities. The best way to deal with the Winner is to be direct about their behavior. "You do not like losing, even in a drill. You need to see what it is like when a technique is applied against you. Not just when you apply it against others." "You do not behave right when you spar. You make everyone uncomfortable by your actions after you lose. Those actions include..."
These are very uncomfortable conversations and I tend to only bring them up when I know I have a Winner on my hands. If a student is normally fine and they have one day in which they exhibit the behaviors of the Winner, I am more likely to ask them if anything is going on and if being at the club that day is the right decision. A teacher should remember what their objectives are when dealing with any form of troublesome student. It may be to delay their bad behavior so you can move on, gently correct it, or ultimately kick down the front door and hold them directly accountable. While it may seem the latter is the most efficient, it can also drive off students who mean well, but genuinely are unaware of their poor behavior. Tact is a skill and one teachers should develop. The Solver is the type of student who often sounds like this. Teacher "And this is the lock called the Lower Lock, Lower Bind, or Low Key. Fiore said there was no escape from it." Student "Yes there is! I would do this." Teacher "Great. He'd be impressed. So, the lock..."
Student "I'd get out of it." Teacher "Let's try this. I place you in the position. We'll assume I have successfully locked you up." Student "I'd hit you in the groin. I could also ... "
Teacher "Yes, yes. Do you see the technique? How it works?" Teacher "Out of curiosity, what technique can't you defeat?" Student "I can figure out a defense against all techniques." This student can be dreadful. They may actually mean well, but they are insulting because they are not compliant. Unlike the Winner, who just can't stand losing, the Solver wants to explain why they know a way to defeat whatever it is the teacher is doing. Why they do this varies and I've encountered quite a few. The usual reason is they want to show off their own knowledge. When two Solvers encounter one another I have seen an hour go by where not a single technique was taught or shared, just a thousand ways how one could, theoretically, defeat the other. My go-to for these students is to be very clear in my objectives. "I am showing this technique. I do not care at all if anyone can defeat it. We'll talk about it later. 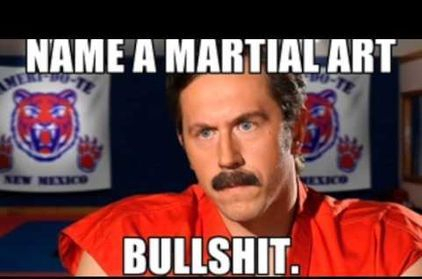 I want everyone doing the technique so well, that they think they could prevent an easy defense." This normally works for me and I often repeat myself about the goal of the lesson. In a seminar, I have no time to waste, in a class, I also have no time to debate a single student on the myriad of ways they could solve the problem presented before them. These students can be delayed until the end of the lesson or seminar and then be entertained. More than once, the student I delayed forgot entirely about their many counters they had in mind and walked off when the seminar and/or lesson was over. Fixing this behavior requires more a direct conversation. "Hi, when you try to outwit the techniques, you are being disrespectful. I am showing something to you and other students. 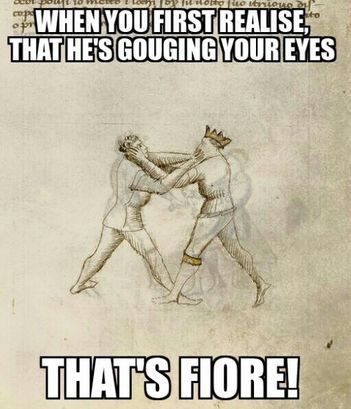 Being a Historical Martial Art, I do not care at all if the technique is 'not good'. We can discuss this later. Do not undermine my authority." It sounds harsh, but may be just the thing you need. As the instructor you are the authority in the classroom and if you have a Solver student regularly, they need to know that. There is a time and place for debate and theory and countering techniques, that time is not during a lesson. Furthermore, if a student truly has no faith in the system you are teaching, they should not participate in it. What gain is there for either party? To soften any behavior correction, be willing to work with a Solver 'later', or direct them to figuring out a historical play from a HEMA source. They tend to be good at that! The Heretic is the most feared of all the Troublesome Students and thankfully is the most rare. The Heretic is the student that is not a student at all, but is someone with an agenda to usurp or embarrass you. The Heretic believes they know more than you. Heretics are rarely found at a seminar, a place where people chose or even pay to go to. They are also unlikely to show up to your class if you are in a regular indoors location that also require dues. In other words, don't expect a Heretic to show up to some place they paid to be. The few times I have come across Heretics are at open venues, like parks, or 'guests' who have dropped by my club. 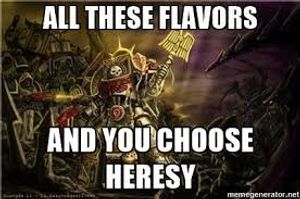 There is no real way to deal with Heretics quickly. The few I've won over have been as a result of time. My continual demonstration of knowledge and the fact I am generally polite, nice and willing to listen (when I have time), has turned Heretics into, not friends exactly, but peers of a sorts. They never wanted to BE my student, so that is fine. Why are Heretics hard to deal with? You can't reason with them. It takes too much time and they have their minds made up. You can't beat them into a pulp. Well, you can and this does feel like divine justice of a sorts, but it doesn't correct their behavior. You are also risking much, (you might lose- even teachers have bad days), while they risk nothing at all. I've handled Heretics by simply telling them to leave, or delaying them for later. If it is my seminar, I choose who goes there, if it is my class at my club, I choose who is allowed in the doors and if it is at an open park, there are other places said Heretic can go. The Heretic offers nothing and in some form of petulance wants to ruin what you have. Thus, it is best to get rid of them and deal with them on a personal level and not in a class setting. The good news is, Heretics are exceedingly rare. It takes a certain level of social failing to be a Heretic. Someone who chooses to go to another instructor's place of learning and disrupt it is a special person- and not special in a good way. You are far more likely to meet Winners and Solvers. The Winners and Solvers are not enemies to you as a teacher. Most of them mean well, they are just unaware of their behavior and how it disrupts a class. When pressed for time- delay them until after class. Try to gently and then directly correct behavior if the Winner and Solver is a long-term student. Heretics are rare. So rare that- do not assume someone who is a troublesome student is one. They are likely not. Heretics are more likely to be peers. Fellow instructors, for example, who just do not believe in what you are doing. This actually isn't all that unusual. Historically, the masters of old were not fond of one another and their differences could easily lead to duels! You have no need to duel your rivals. You do have a need to make sure they don't disrupt a seminar or class. Be direct in what you want from your students, but also polite. We teachers make mistakes, and we do not want to be come despots, tyrants or cult-leaders. You are there to serve your students and discipline, most often verbal, should be carried out for the purpose of making the student a better student. Since reworking this article, I have had a many self-described Troublesome Students contact me with a series of reasons for their behavior. This is usually followed up by an explanation of the motivation of the behavior. It doesn't matter. If an instructor says you are exhibiting behavior they find unacceptable, you need to adjust that behavior or leave the group. Sound harsh? It is better than lingering, unable to change, and causing the instructor needless frustration. Instructors teach students, not one student, so the excuse of one Troublesome Student is not worth the educational experiences of the whole. The good news is, behavior can be modified. You control you. I have gotten this a few times, where a student explains a medical reason for their poor behavior. It doesn't matter. The world cannot adapt to the needs of individuals when it comes to manageable behavior and if the behavior is unmanageable, a HEMA club, with swords, is no place for you. The instructor also does not owe you anything at all, not when they have other students to attend to. The good news is, behavior can usually be managed. I have well over a decade of service in teaching High School kids and managing behavior is something that can be trained, practiced and excelled at. Students who can do this will find life gets easier, not only in terms of HEMA, but in terms of work and relationships as well. Sometimes! In a seminar or a specific class on a specific subject, no we are not. I am the teacher, you are the student, I am trying to teach you something. You are there to learn it. In another setting, say a couple of peers hanging out discussing a technique, that is when 'we' learn together. Not during a seminar and not during class. Whatever pressing need you have, if it is truly great, can wait for after a class. "I want the undivided attention of the instructor." I'm guilty of this, so I hear you. The best answer to that is to understand time and place. If you can't behave well in a large class setting, then seek out the instructor for one on one work, where it is easier to tolerate a Winner and a Solver. "I disagree with your categories and believe there are many more types of..."
I had with my last article people contact me and give me a dozen other classifications. That's good! The more you divide up students into categories, the more you can tailor your teaching to their needs. Even my own classifications are loose. Someone who acts like a Winner, may only do so sometimes and be a Solver at others. A Heretic may only be such in one particular field of HEMA, but entirely willing to learn in another. The main goal is from this article- as a teacher, to quickly be able to identify and handle behavior issues so as to continue on with your teaching. writing by buying a book. but I need your help to do it. get a new writing project going. possible. 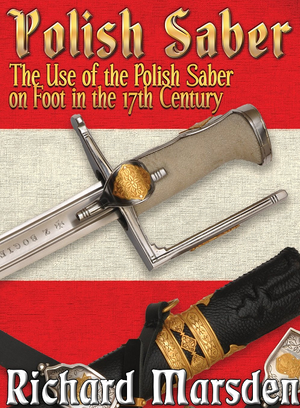 Consider Polish Saber today!